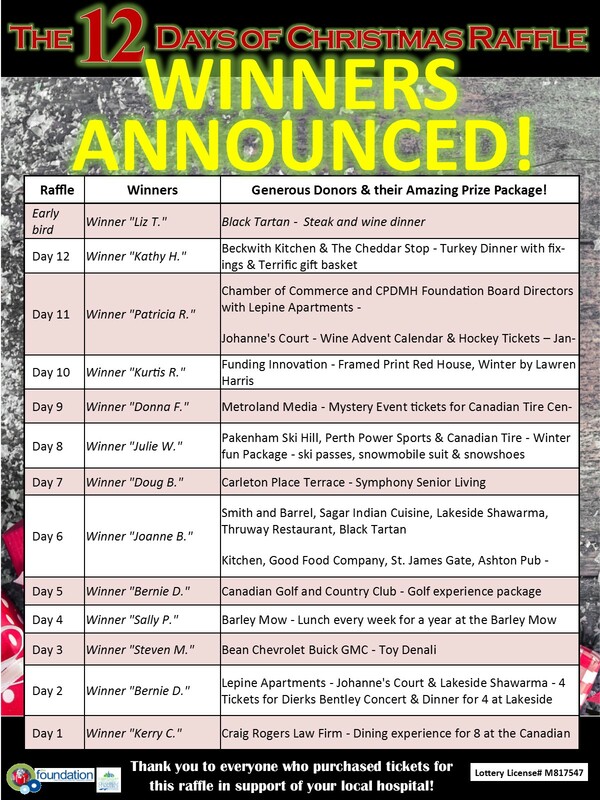 We are thrilled to announce the winners of this year's 12 Days of Christmas Raffle! Thank you to all of the amazing prize donors, ticket sellers and ticket purchasers!! Announcement of proceeds to come after the holidays! Be sure to VISIT OUR FACEBOOK PAGE @CPDMHFoundation for more details and prize announcements!